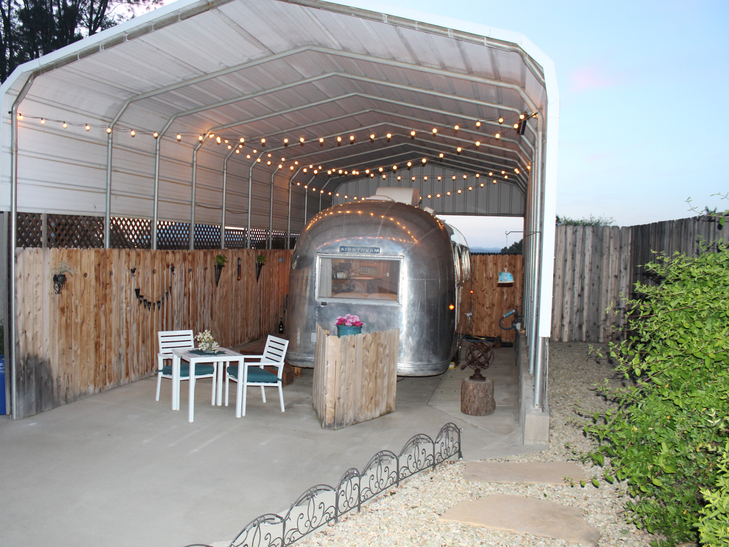 If you are visiting Paso Robles for wine tasting, or traveling to the Central Coast of California, you want to have the best experience possible. 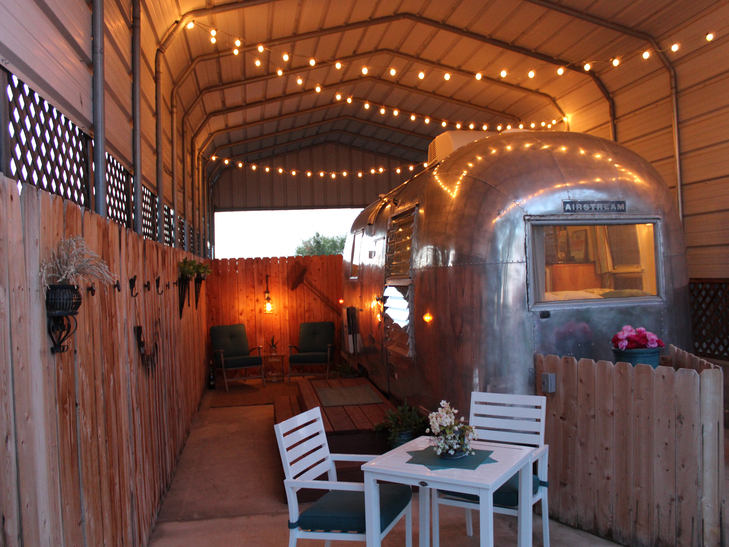 Stay in a vintage 1964 Airstream Safari, customized with your total comfort in mind. 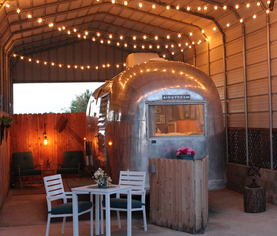 This is no cookie cutter hotel, or mass-market accommodation, this is your own private oasis. 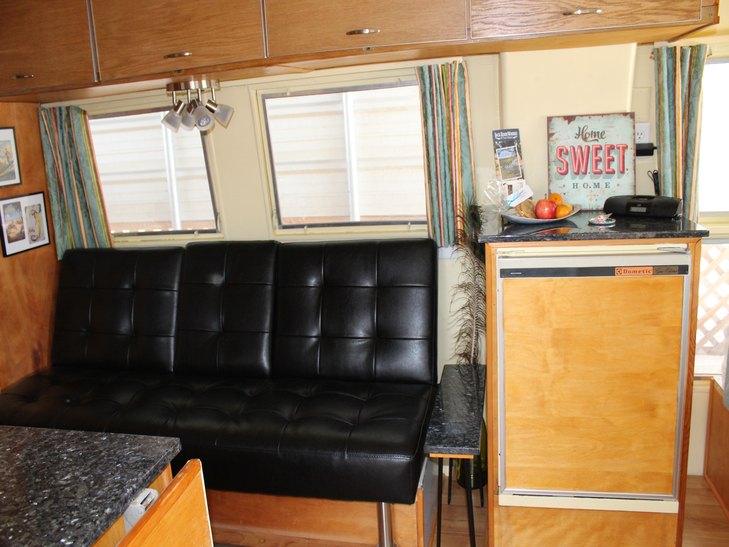 You can relax and read a book while sipping wine, nap on the luxurious bed, watch your latest movie on the drop-down television and BluRay/DVD player, have a snack at the patio table, or just get away from it all and enjoy the Silver RV. 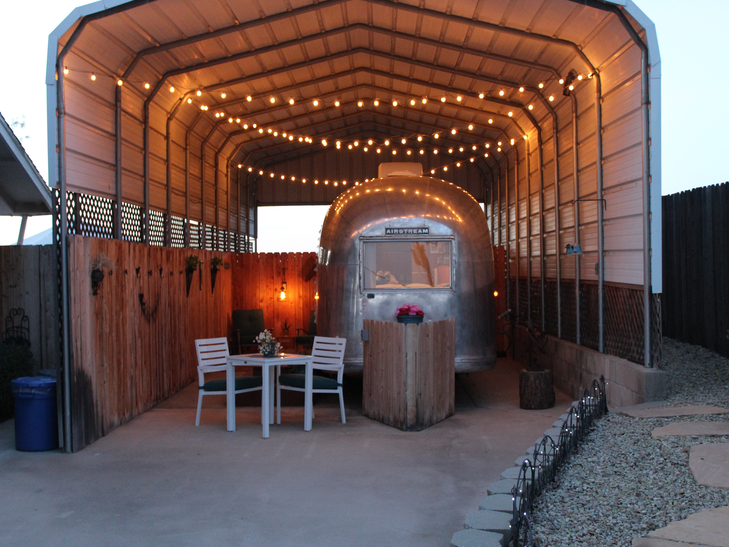 Spend the night, or spend a weekend! 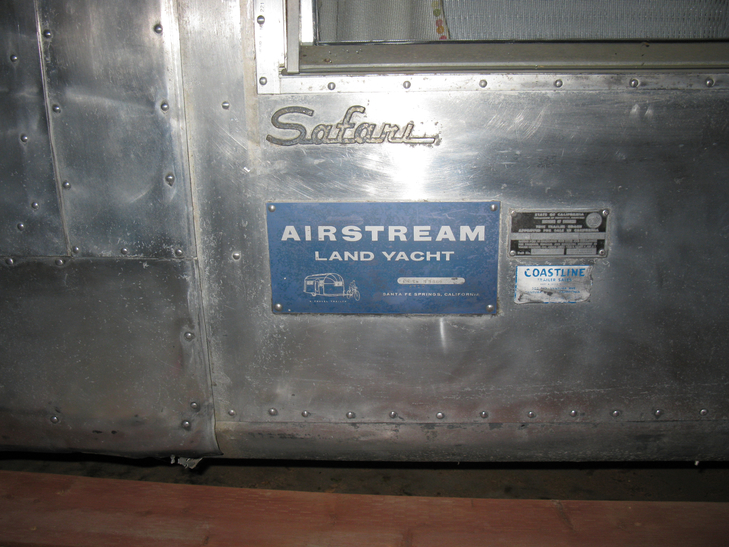 Take a "Safari" and enjoy your own private oasis with a 1964 Vintage Airstream. Only a couple of minutes to the central coast's premier concert site Vina Robles amphitheater! 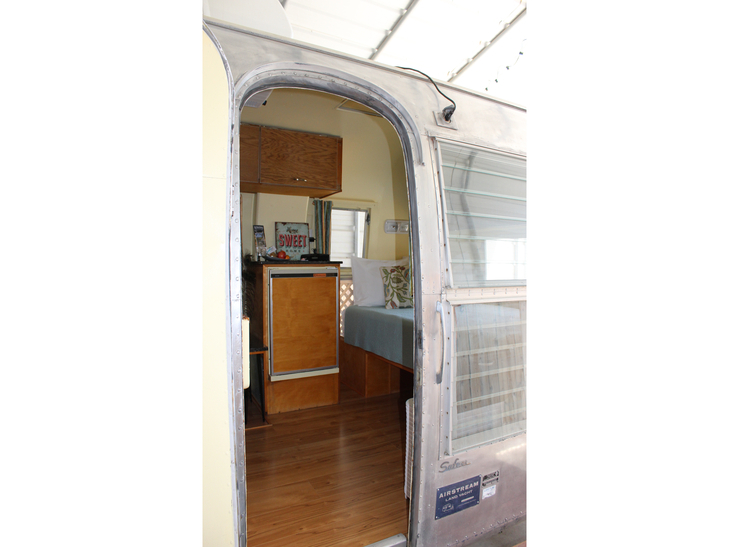 Enhance your visit by staying in a 1964 vintage Airstream Safari customized for your comfort! 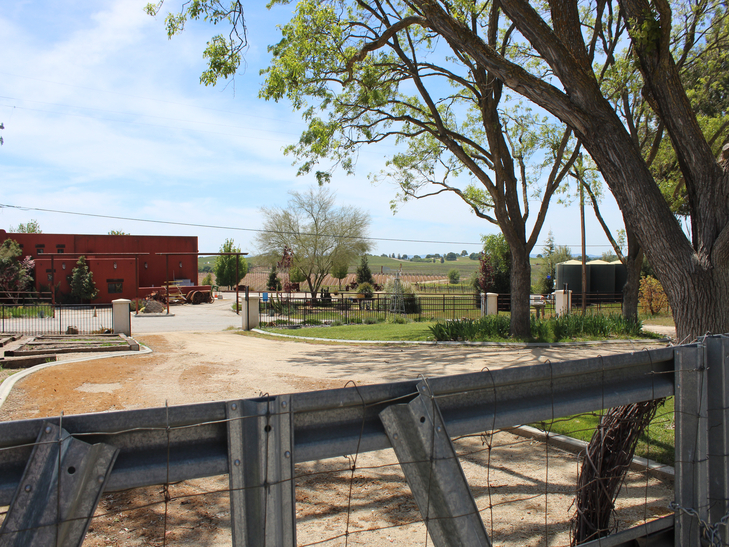 Make Paso Robles Safari your destination for exploring the Central Coast Wineries & Charm of Paso Robles. 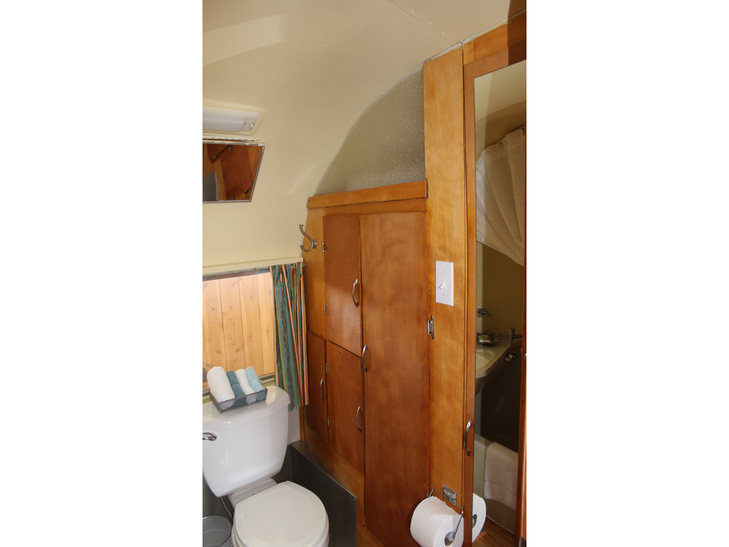 With your own private space you can complete your travel experience by lodging in this one of a kind Airstream! 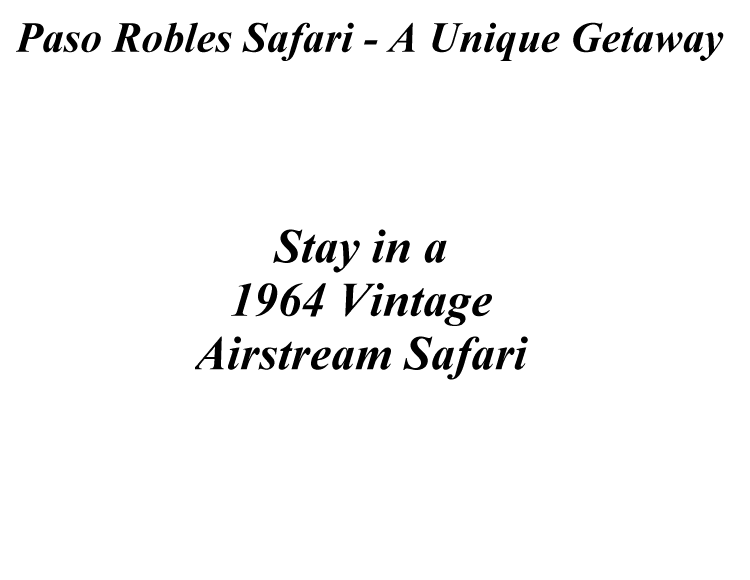 Paso Robles Safari (1964 Vintage Airstream Safari) is available for short-term rentals to visitors of Paso Robles and the San Luis Obispo area. 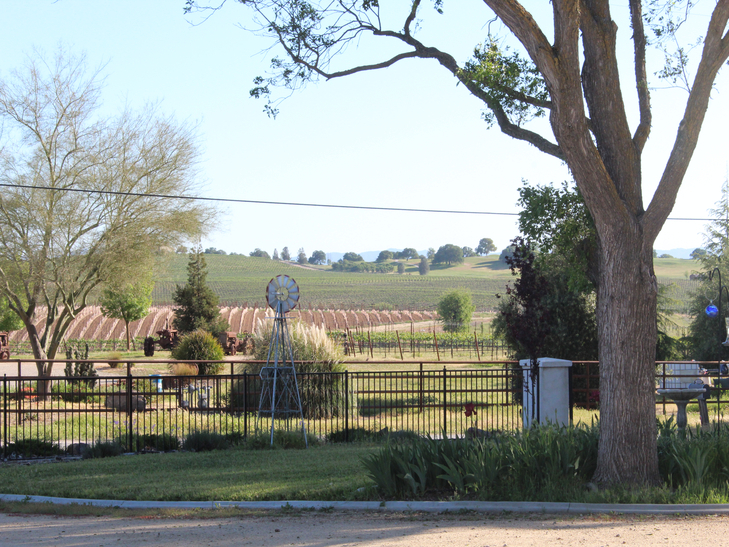 With hundreds of wineries & tasting rooms, there is a never ending supply of things to do and see for wine lovers. The Central Coast area has many destinations, including Morro Bay, Cayucos, Hearst Castle/San Simeon, San Luis Obispo, Cal Poly, Pismo Beach and the Five Cities area, along with Paso Robles, home of the Mid-State Fair, which hosts some of the biggest names in the music industry. Golfing, boating and water sports at Lake Nacimiento or Lake San Antonio, Wine-Tasting & Winery Touring are all possibilities. The Vina Robles Amphitheatre brings in top-name talent & is just down the road - this intimate venue provides a perfect way to end a perfect day staying at the Paso Robles Safari. 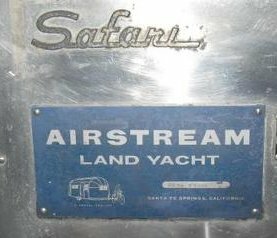 The Airstream is a 1964 Safari 22 ft. trailer. 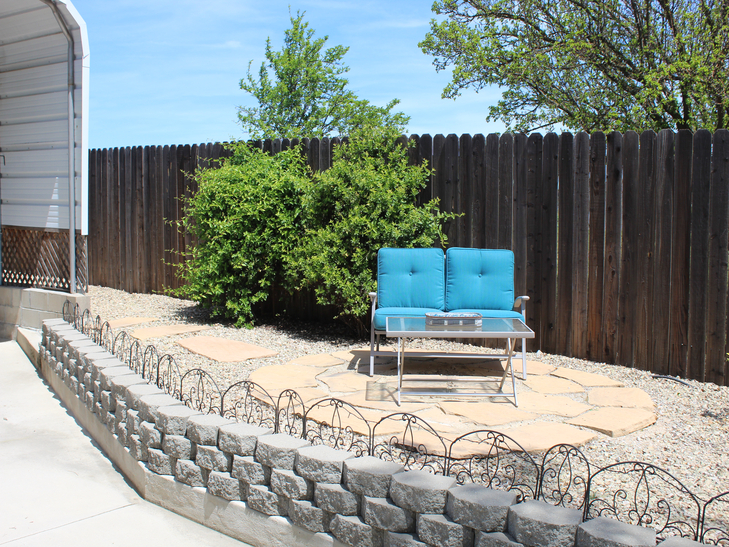 It is permanently connected to water/electricity/sewer lines and may not be moved. 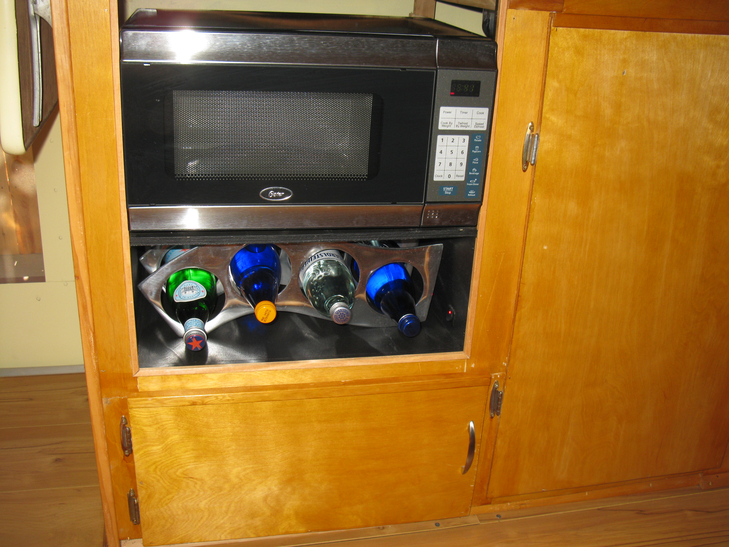 There is an 8 bottle wine cooler to store your wine bottles in or to chill for drinking. It can be set from 40-65 deg. F.
Coffee, tea, hot chocolate, bottled water, sparkling water, microwave popcorn, fresh fruit & fresh baked cookies are provided. 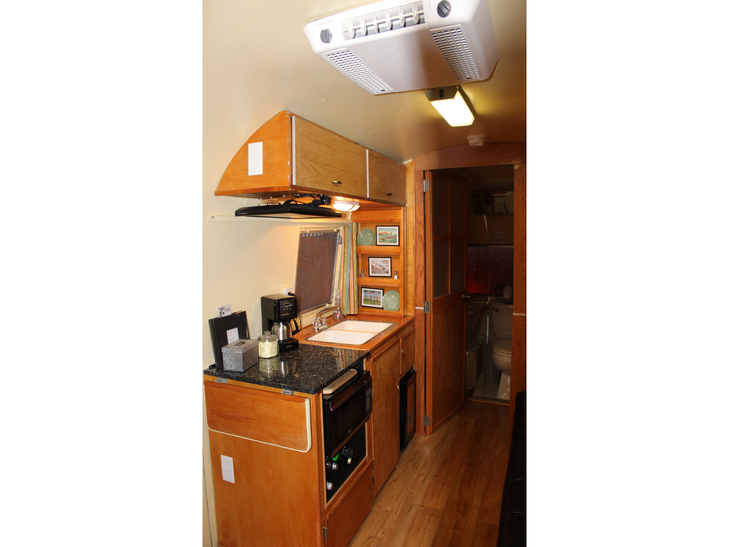 There is a built-in roof air conditioner with a heating element. Please note that it does take about 10 minutes to start affecting the temperature, so turn it on, set the thermostat, and be patient. The unit should be off when you leave. Please arrive anytime after 3pm. If you wish an earlier time, it may be possible, but must be arranged prior to your visit. 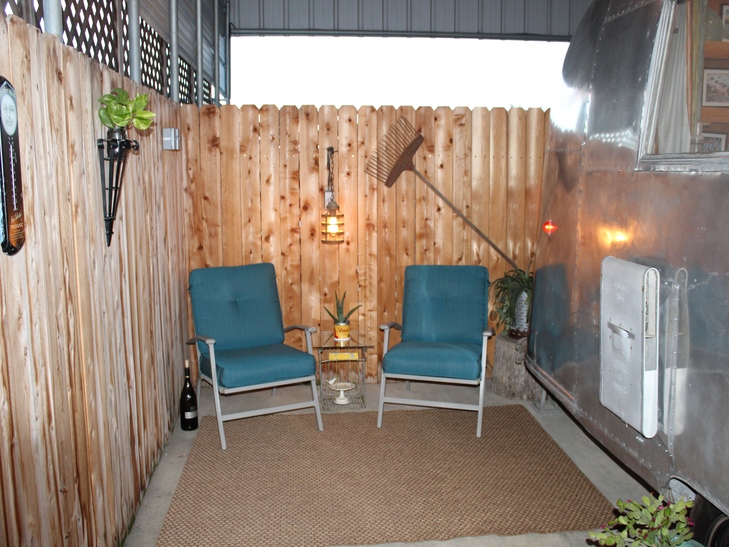 If we are home, we will leave the Airstream open & greet you when you arrive. If we will not be home when you arrive (or it is late at night), there is a lockbox where we will leave the key. The lockbox code will be provided before you arrive. 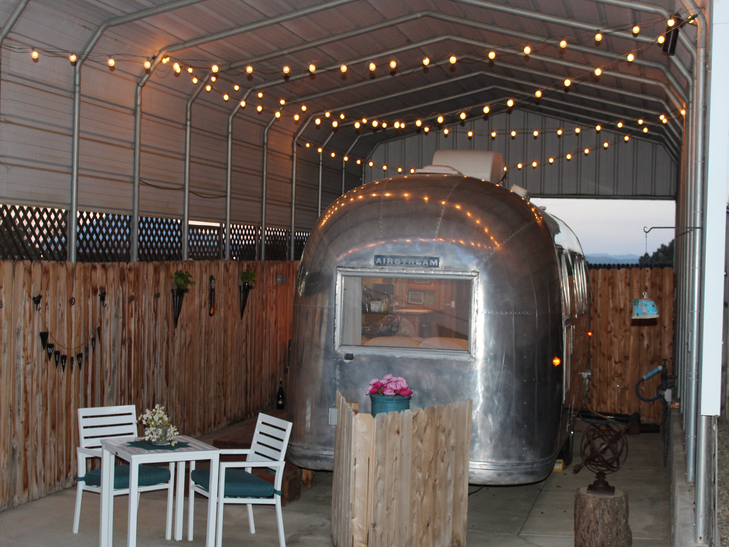 The Airstream is at the east side of the property. 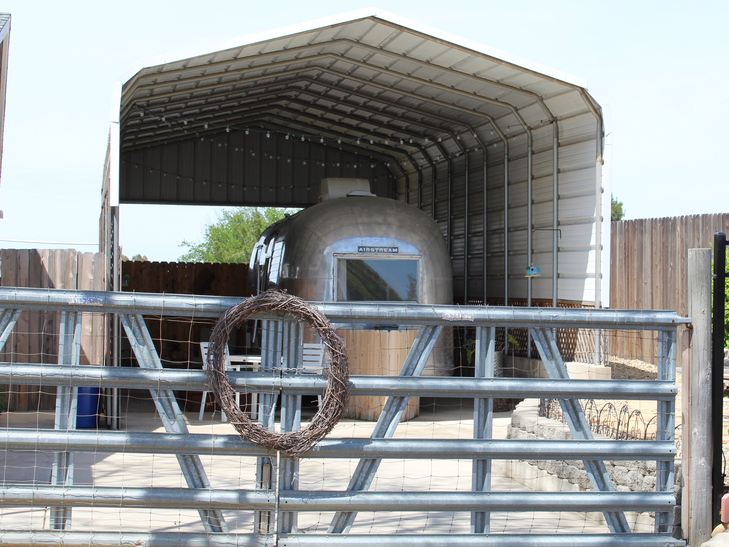 There is a large closed gate which crosses the driveway to the Airstream - please park in front of the gate (the Airstream is visible beyond the gate). Departure time is before 11am. If you wish a later time, it may be possible, but must be arranged prior to your visit. You can leave the key on the counter top by the door & lock the door when you leave. No pets are allowed - this is to address future guests that may have pet allergies and to not become subjective of what pets are allowed or not. 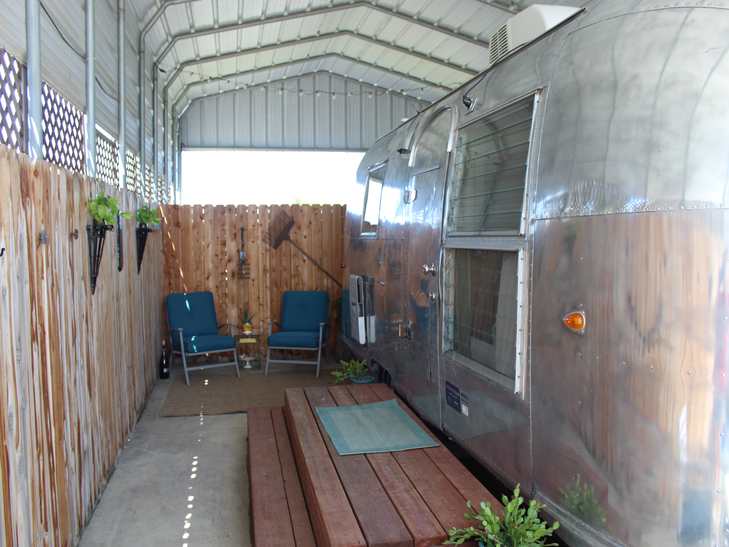 In general, the Airstream is meant for 1 or 2 adults. 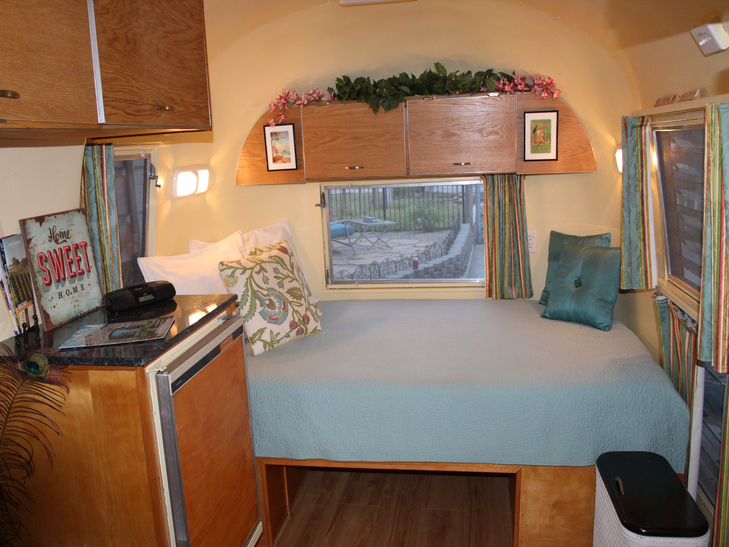 We have let a third adult stay for an additional fee to help out a guest. 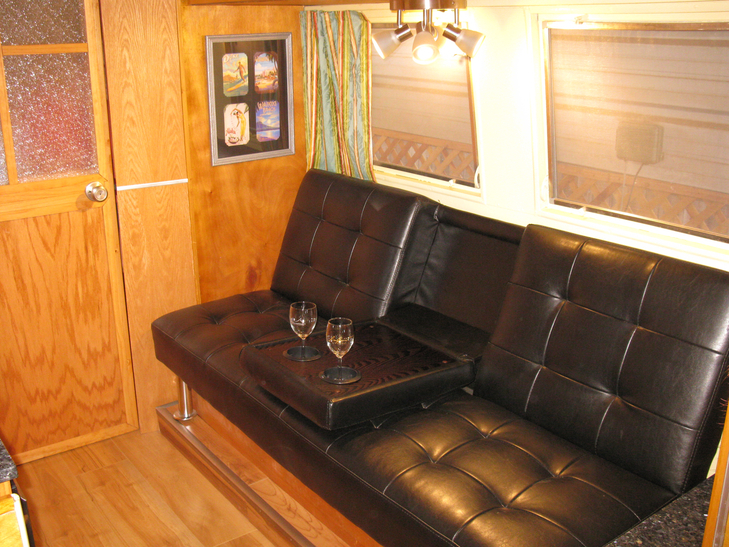 (The couch is a futon that lays out as another bed.) 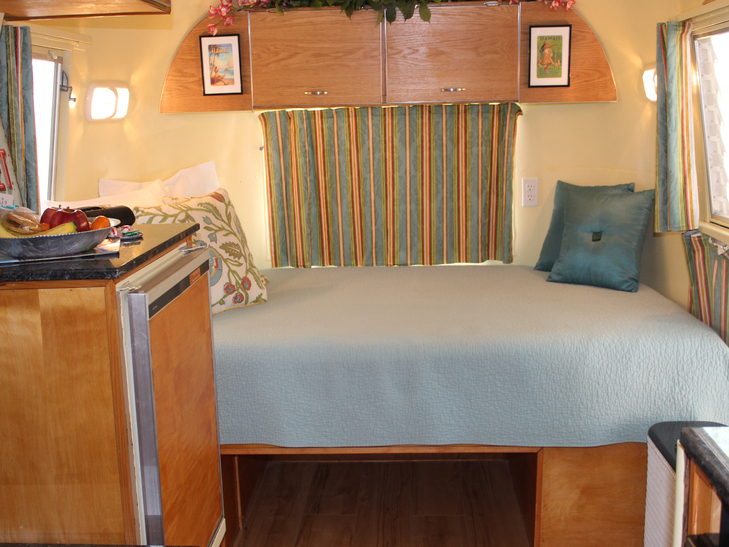 Please contact us to discuss your particular situation if more than 2 adults are looking to stay. 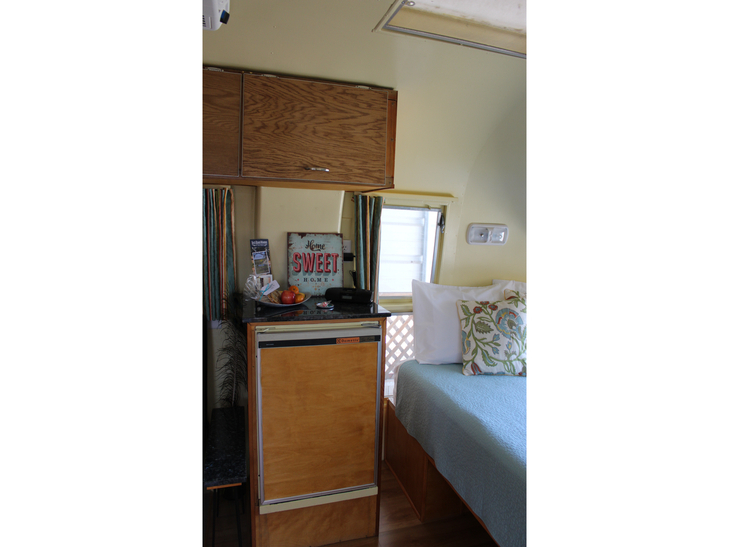 We have placed a WiFi router in the Airstream to get around the fact that it is a solid aluminum can. 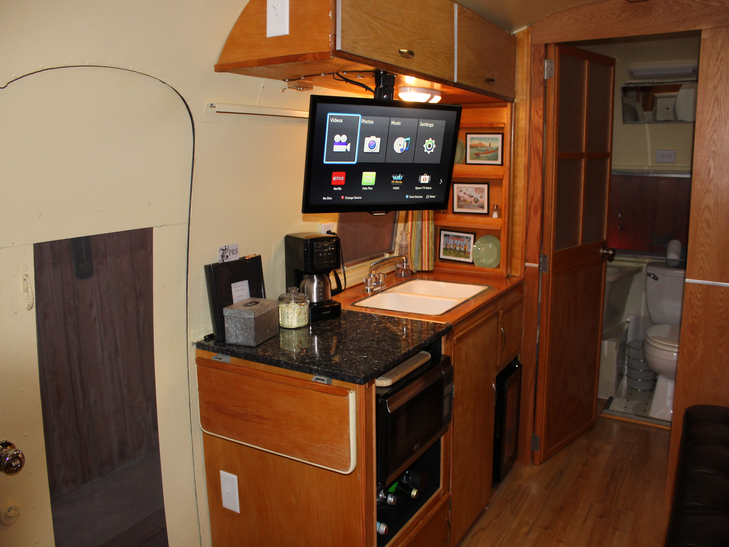 (Note that cellphones reception may also be problematic within the Airstream itself) WiFi is available and the BluRay player has some built in options for Netflix, Pandora, etc. 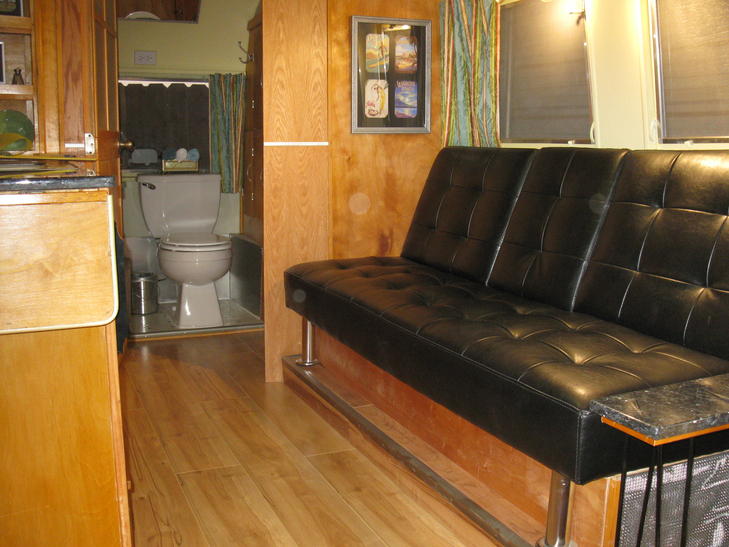 The BluRay player can play BluRay or DVD discs, and there is a small selection of DVDs available for use while in the Airstream. 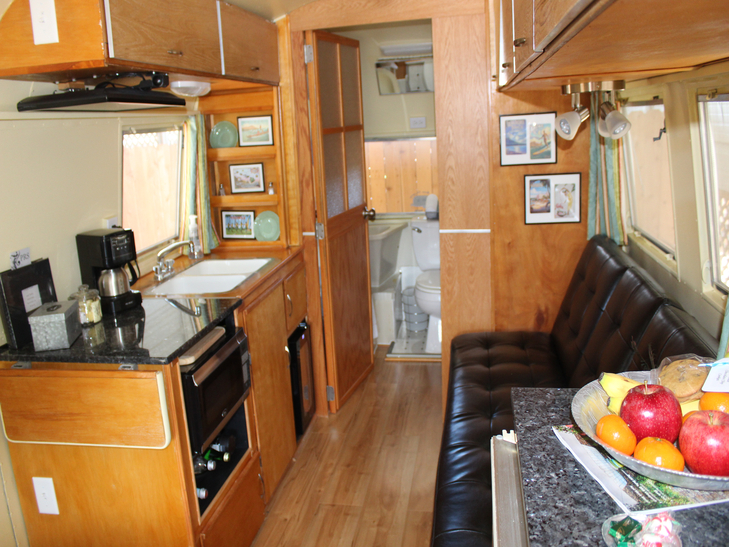 There is a microwave, coffee maker, and refrigerator - no other cooking equipment is available. 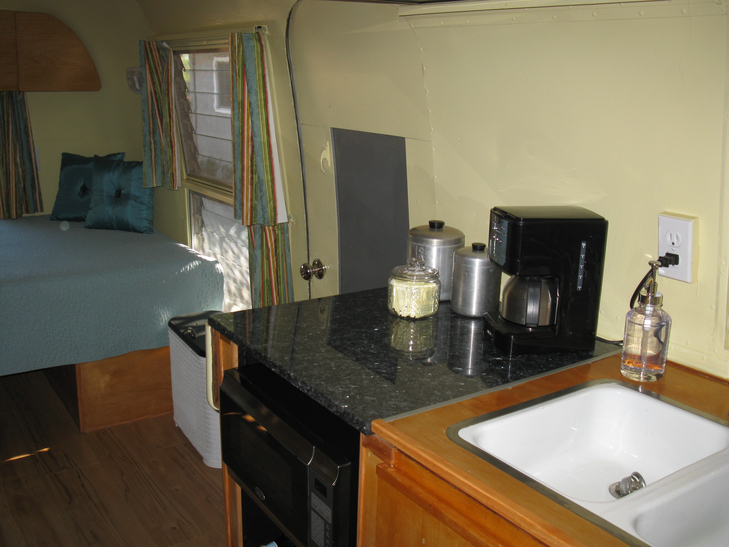 There is a granite counter area next to the sink (hot / cold running water) and as listed above, plates & utensils. 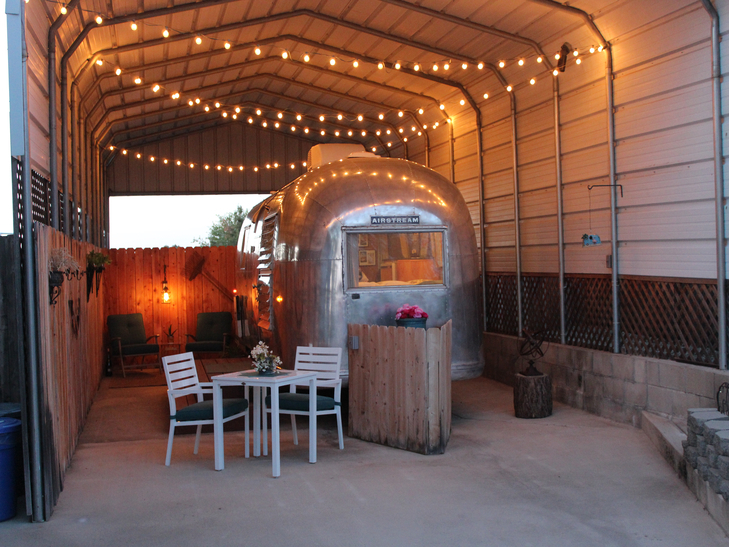 The Airstream is in a private area, but our house is nearby - in most cases we will be available to address any questions or provide assistance. Arrival/Departure Times Arrival time is after 3pm. Departure time is by 11am. Leaving - Verify you have all your belongings, and place key on counter by door and lock & close door when leaving. 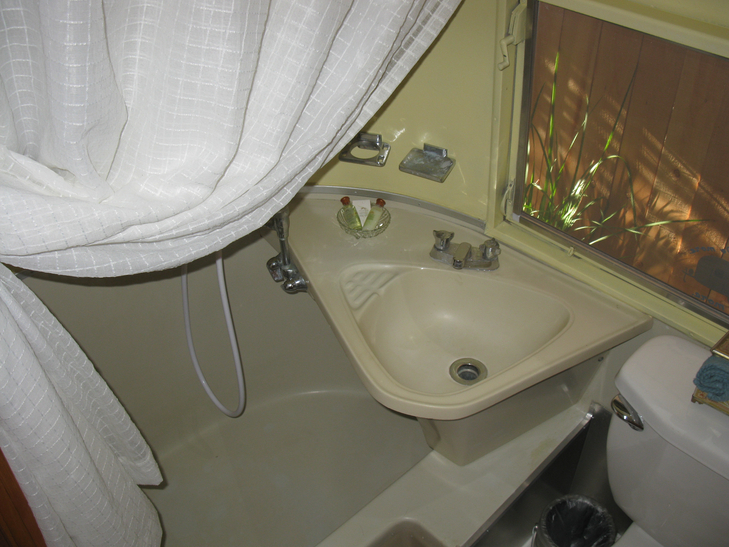 Linens and Towels A basic supply of towels and linens are provided. To respect your privacy and preserve water and resources, bed linens and towels are not changed during your stay unless requested. Supplies Toilet paper, Paper Towels, Napkins, Coffee/Tea/Sugar, dish soap are provided for use in rental. If there is a need for supplies, please let us know. 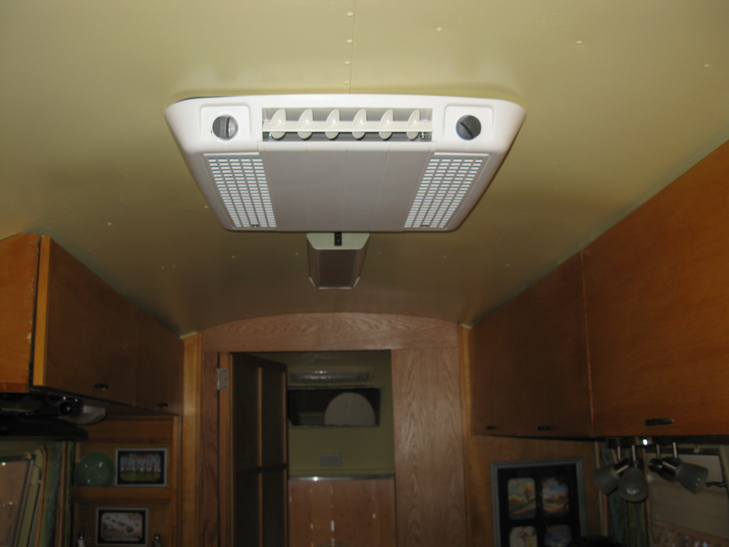 Heating/Cooling Please turn off when you leave - the Airstream is not large and will heat/cool quickly upon your return. 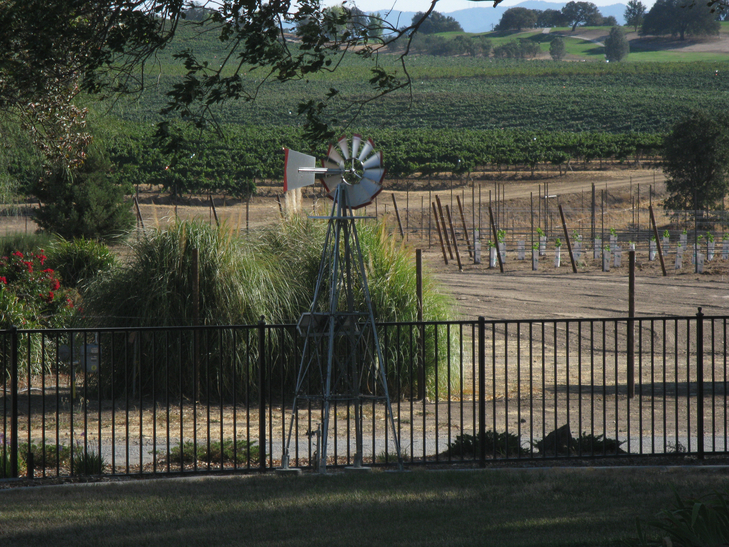 Landmarks on 46 - Robert Hall/Vina Robles on right, Eberle on left, Hunter Ranch Golf Course on right is about a mile away from Jardine turn - if you see Broken Earth Winery on right you passed the Jardine turn. 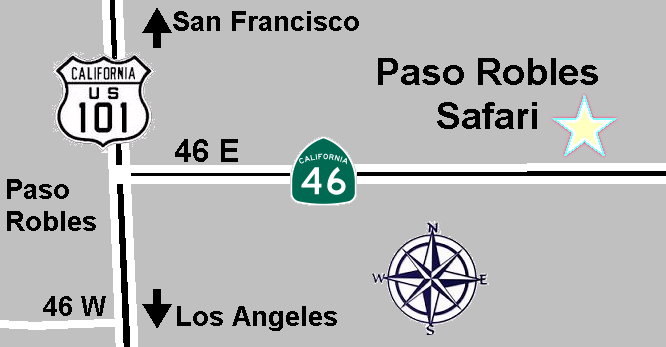 Take I-5 North to California 46 West, exit I-5 - turn left on 46 West to Lost Hills/Paso Robles. Approximately 60 miles from I-5/46. Continue at 41/46 junction below. Take California 41 South to California 46. See details at 41/46 junction below. Take I-5 South to California 41 South, exit I-5. Continue at 41/46 junction below. 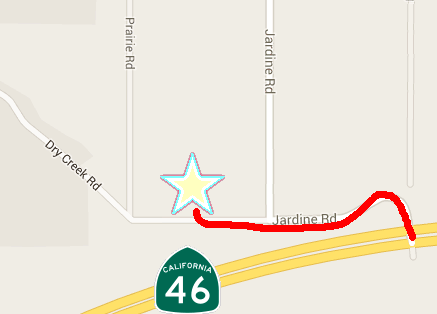 If on 41 South, turn right on 46 West towards Jack Ranch/Cholame. If on 46 West, continue past 41 junction past Jack Ranch. 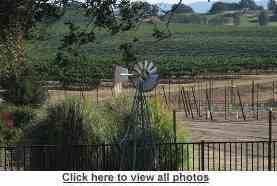 Continue west to Paso Robles, about 21 miles from 41/46 junction. Landmarks on 46 - Treasury Wine Estates on right, Broken Earth on left, then Jardine turn - marked roads are Geneseo, Branch, then Jardine. If you see Hunter Ranch golf course on left, you missed the turn.